A very nice gold mounted violin bow by and stamped, W. E. Hill & Sons. This bow is in good condition. It is lighter than average but has a good strong stick and plays very well. 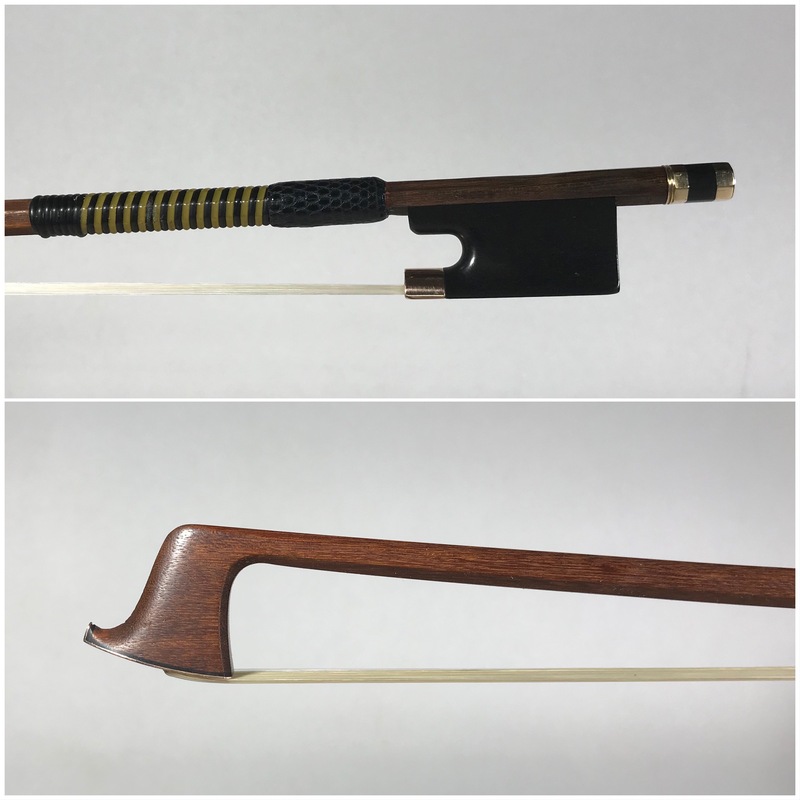 Lee Guthrie is a very fine bow maker working in the Minneapolis -Saint Paul area in the United States. Lee’s bows are played by some of the world’s most respected soloists and orchestral musicians. Simmers Violins are pleased to represent Lee Guthrie in Australia. The price is subject to variations in the exchange rate. Click here to go to Lee’s website. A nice violin bow by Eugene Sartory, Paris. In good restored condition.